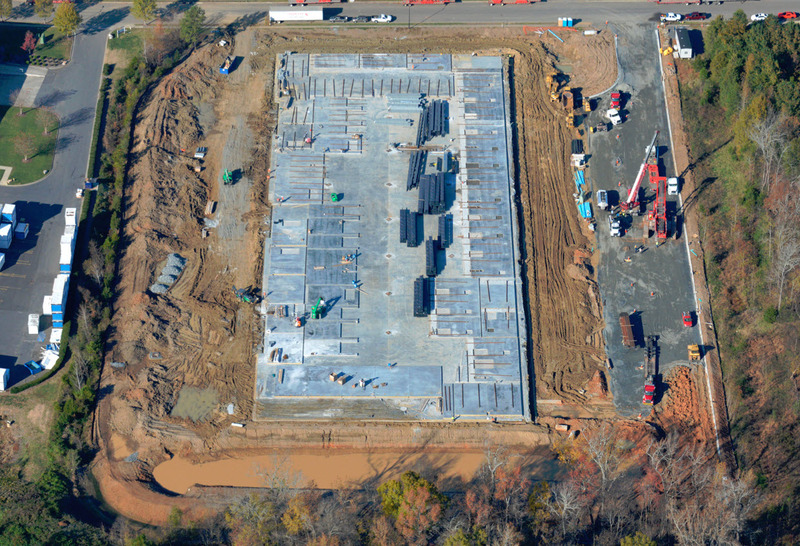 This project is a 115,500 SF industrial facility located in Charlotte, NC. Record breaking amounts of rain have hit this project and our team has worked tirelessly to keep it on schedule. Landmark Builders is a regional commercial general contractor in the Southeast. Since 1975, Landmark has earned a reputation as a value-driven, dependable and trustworthy builder. Landmark provides a wide range of construction services including general construction, design/build, construction management and upfit/renovation with proven experience in industrial/distribution, healthcare, senior living, office and hospitality construction. At Landmark, We Build Confidence.